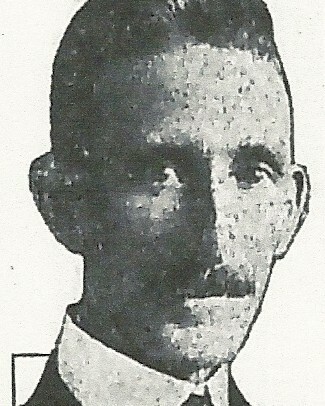 Special Agent Thomas Fitzgerald was shot and killed in St. Paul, Minnesota, while conducting an investigation the Great Northern Railway yards on Jackson Street. He was attempting to interview an employee in the sandhouse when the man suddenly produced a handgun and grabbed Special Agent Fitzgerald. Unbeknownst to Special Agent Fitzgerald, the subject was wanted in several other states for various crimes, including shooting at a county sheriff. The subject shot Special Agent Fitzgerald four times when he attempted to break free. The man fled the state the following day. He was later arrested in Kansas and sentenced to 10 years in prison from burglary. While in prison he admitted to Special Agent Fitzgerald’s murder. Upon his release in 1931 he was returned to Minnesota where he plead guilty to murder and was sentenced to life at hard labor. Special Agent Fitzgerald had served with the Great Northern Railway Police for 26 years. He was survived by his wife and five children.